Promethean TVs are interactive whiteboards used in the Junior School through the classroom TVs that allows you to project images from your laptop and interact with those images. To turn on the Promethean, ensure that the system is plugged into the wall, and then press the Power Symbol on the control panel on the side of the TV. To project video and audio onto the TV, you will need to connect the HDMI to Thunderbolt cable. Plug in the Thunderbolt cable into your computer, and ensure the HDMI side is connected securely to the TV. Take note of the number that your HDMI cable is in. The other cable is a 'touch' cable. This allows interaction with the images on the TV, and will connect via a USB port on your computer. This will connect to a square port on the side of the TV with the name TOUCH-USB 1/2/3/4. 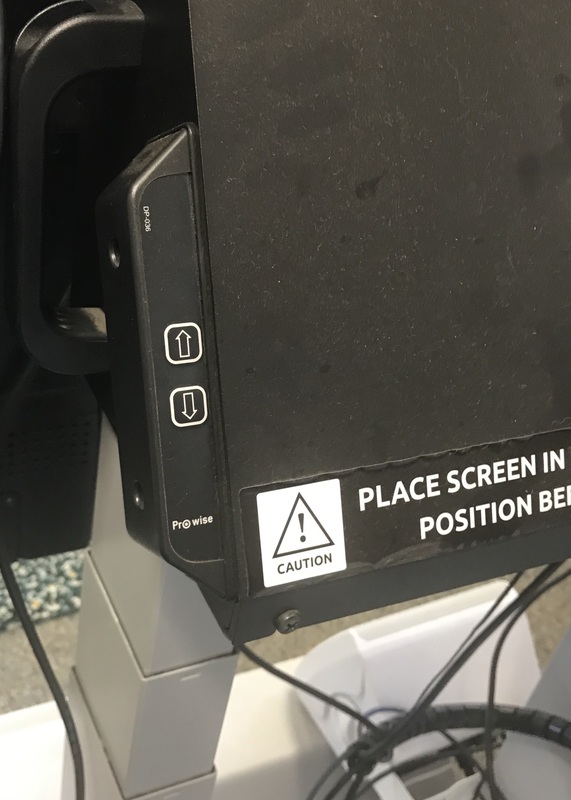 It is vital that when connecting your computer, the HDMI and Touch cables are plugged into corresponding ports on the TV i.e. if the HDMI cable is plugged into HDMI 1, then the touch cable needs to be plugged into Touch 1. Once your computer is connected, to view the projection, use the Source Button on the TV control panel and select the correct source on the screen, i.e. HDMI 1. This should then allow you to connect and use resources on the Promethean TV. Promethean uses a system known as ActivInspire to utilise resources and create activities for classrooms. Instructions on how to find and use these resources can be found here. Your Promethean TV is mounted on a movable base with wheels, so it can be maneuvered in any direction around the classroom. On the back of the TV, you will also find two buttons, one with an up arrow, and another with a down arrow. These allow you to adjust the height of the TV. If you have any issues or questions regarding Promethean systems in the Junior School, please us at 1Degree@scotch.wa.edu.au or by phoning 902.